Hello beautiful people! I hope you all had a great time on Christmas and that you are preparing a fantastic New Year's Eve!! I'll be heading to Courmayeur in a couple of days to spend there a special New Year's Eve! 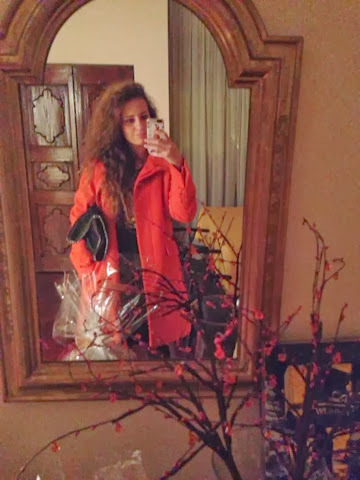 On Christmas I received as a gift of my mom this beautiful MAX MARA orange coat! I completely fell in love because it's something that I wanted and I was so happy as soon as I wrapped the present! !